Description: When an ancient underground civilization and their snake-like guardian plots to reclaim the surface world, those of the surface fights back. Tagged 1960s, Based On Novel, English, Family, High Definition, Japan, Japanese. Bookmark the permalink. Jun Tazaki-sensei, as stodgy disenfranchised patriot-turned-reluctant world savior “Captain Shinguji”, is that ‘silent hero’ of the Alter-‘Godzilla’-Universe of TOHO. And, yes–The Gohten (Atragon) is badass (to find out that Eiji Tsuburaya-sensei’s camera-model was a BIG as it was–in an extra I saw on YouTube–was beyond awesome…12ft long!). 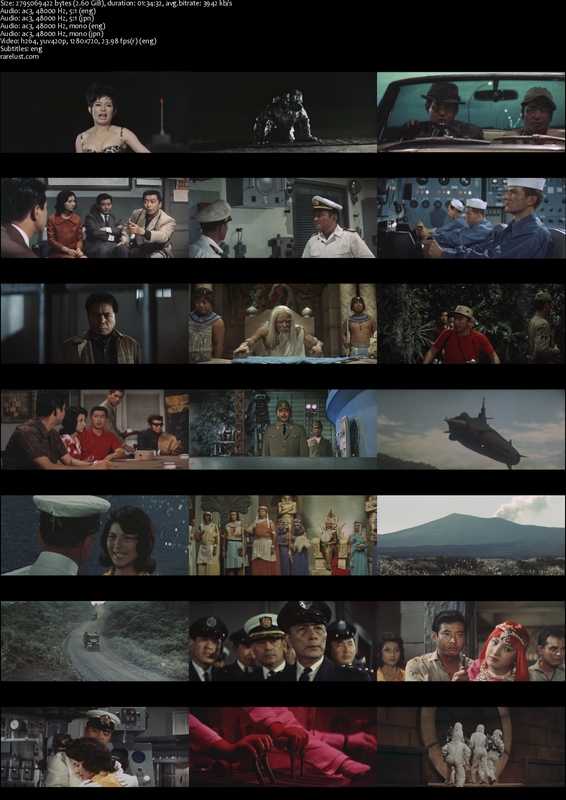 I agree with ShadowofWard in saying, “Thank You, Rarelust, for this HD Edition” of this Showa-TOHO gem. Wow! 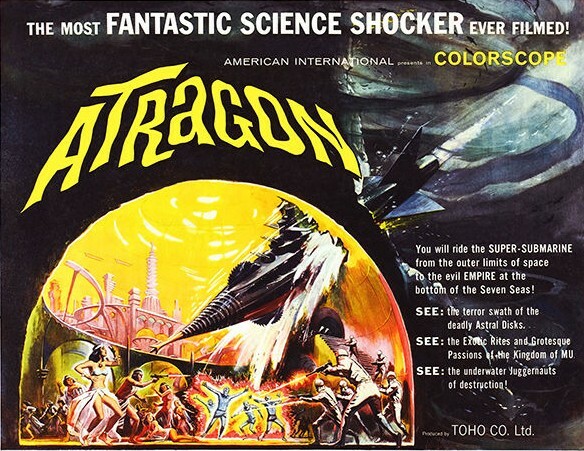 A vastly underrated Toho flick! One of my favs and in HD now, thank you so much Rarelust, you really are a hidden gem on the internet my friend. Weekly updates of fun stuff!